How did the World Press Photo 2018 nominees see the light? 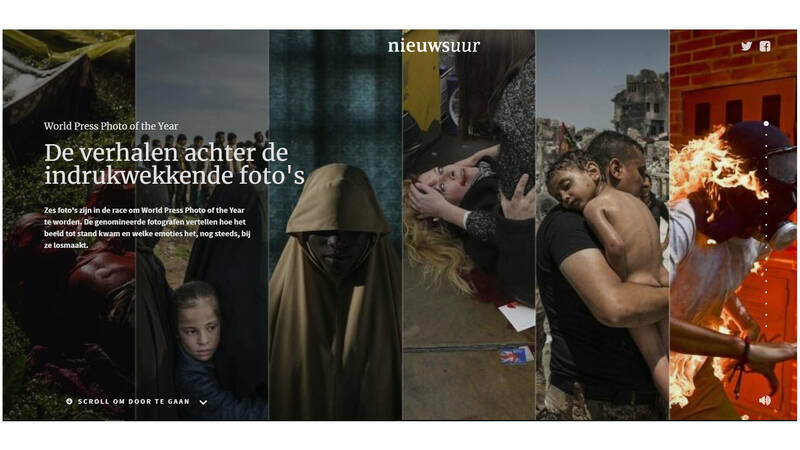 Dutch TV programme ‘Nieuwsuur’ (News hour) interviews photographers Patrick Brown, Adam Ferguson, Toby Melville, Ronaldo Schemidt and Ivor Prickett (hey, where are the female photographers?) about working as a photojournalist and the way their work is conceived. The interviews are nicely intertwined with the nominated photographs into a multimedia longscroll.